To end our Inquiry on Structures, I organised a woodworking workshop for my class through U Can Do IT, a Candian company that offers a woodworking experience to children. In class during the inquiry, the children had had the opportunity to build with blocks and lego as well as with boxes and recycled materials. 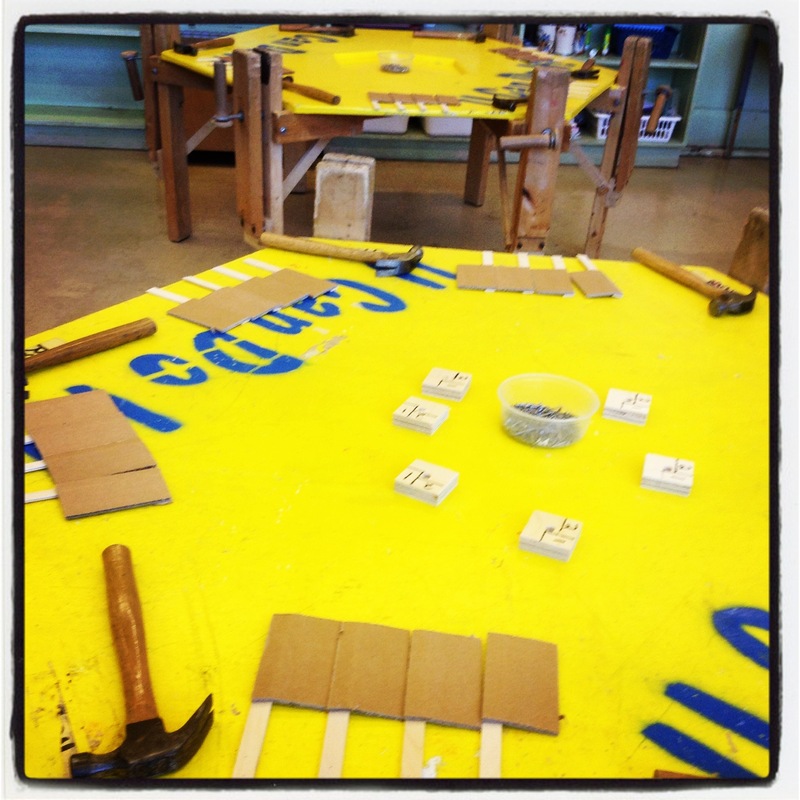 With this workshop, they had the opportunity to build with wood, nails and a hammer. Yesterday morning the presenter came into the classroom and set up the woodworking tables and materials that the children would use. When entering the classroom, the children were excited to begin and struggled to wait until everything was ready. I had chosen for them to make a windmill as in the grade 2 curriculum the students need to be exposed to moving structures. The workshop experience was perfect for them as the children used the vice of a simple machine to build their structure; and made their own example of a pulley. 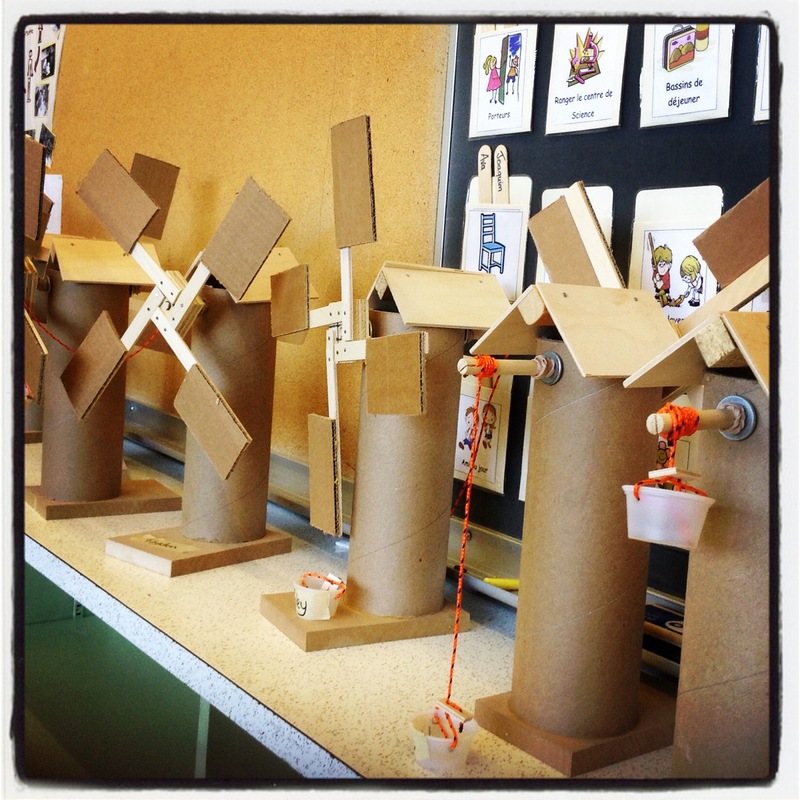 The windmills have moving parts and the children loved that they had made something that could move. My students will be decorating and personalising their windmills today. These are structures that they cannot wait to take home – and ones they will remember making for a long time. This week I am grateful that a company such as this exists here in Toronto. Through them, I was able to bring to the classroom an experience that I am not qualified to teach. The presenter was friendly and helpful – and one I will invite into my room again. Life is SO exciting in your classroom, Colline! I don’t remember having half so much fun. 😦 Love the windmills 🙂 Have a happy week! Wow! What a great workshop. I am sure the children loved it. That did Michelle. And they are so proud of their work.